A complete system- Have you been looking for a comprehensive but easy to use inspection management system? If so, look no further. 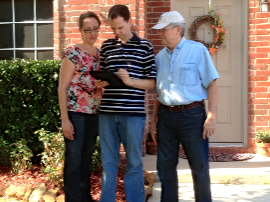 Inspector FX has been serving the home inspection industry since 1992 and Inspector FX 12 is the best version yet. 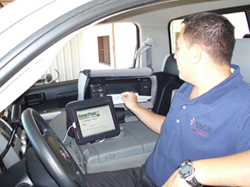 Inspector FX allows you to go paperless- Inspector FX 12 allows you to run your entire business from the front seat of your vehicle. 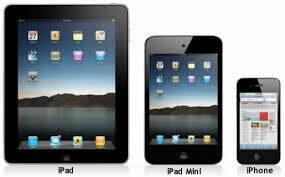 For only $29 per month you can move your entire Inspector FX program to an iPad, iPad Mini, iPhone or iPod Touch. 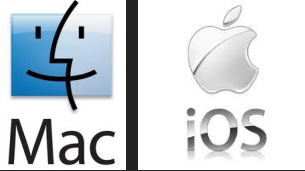 This transfer takes less than a minute and your subscription also includes unlimited support for your iOS device, Mac or PC. Upon arriving at the inspection site, you can capture your client's signature on our customizable pre-inspection agreement and email them a copy. Talk about creating a great first impression! 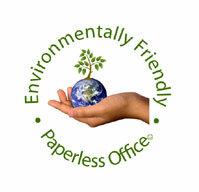 At the conclusion of your inspection you can collect payment and send a paid receipt. No more late nights editing reports- Filling out your report is as easy as walking through each area of the property and tapping on pre-populated value lists and inserting your favorite library comments. You can even speak and have your words instantly translated into text. Want to use a photo to document an issue? Use our Photo Manager with your iPad or iPhone's built in camera and your photo will be automatically inserted on the page of your choice. If you use a digital camera it's a snap to tranfer images to your iOS device using an inexpensive SD Camera Card Reader Adapter or Eye-FI SD Card. Once in your iOS Photo folder they can be annotated with arrows, circles or text then added to your report. At the conclusion of each inspection you can instantly email your client a Deficiency Summary from your iOS device. Industry proven- Developed with the experience of operating a national inspection company, Inspector FX is more then just a report writer. 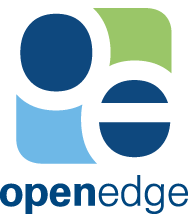 It is a complete home inspection management system that includes everything you need to run your business... whether you are a single operator or multi-user organization. Support for multi-users- Multi-user organizations are provided with state-of-the-art server hardware housed in our modern data center. The data center provides every member of your organization with up-to-date information and the peace of mind that comes with knowing your data is secure and backed up daily. Think of us as your personal IT department. Have it your way!- Modules are available ala' carte by MONTHLY SUBSCRIPTION....view the Inspector FX Features & Pricing page for details. Each customer receives free "hands on" assistance by one of our experienced support staff. Over three hours of free online training videos are also available by clicking on the monitor to the right. Order Entry Module includes Scheduling, Sales Reports, Commissions, A/R, and stores digital documents such as lab reports and faxes. Provided by New Image Software. 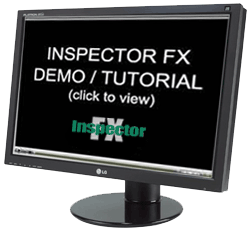 Contact New Image Software to discuss your business process and learn how to easily integrate Inspector FX, home inspection software, into your home inspection business. "I tried Inspector FX and I love it. It's easy to use, yet agents and clients alike tell me the report looks so professional. It has all the features I'm looking for in home inspection software. I tried Palm-Tech, 3-D, HomeGauge and others. Inspector FX is the one that appeals to me the most."